ISIMBA – The Isimba Hydro Power Project is set to be commissioned at the end of this month adding another 183 megawatts of power onto the national grid. 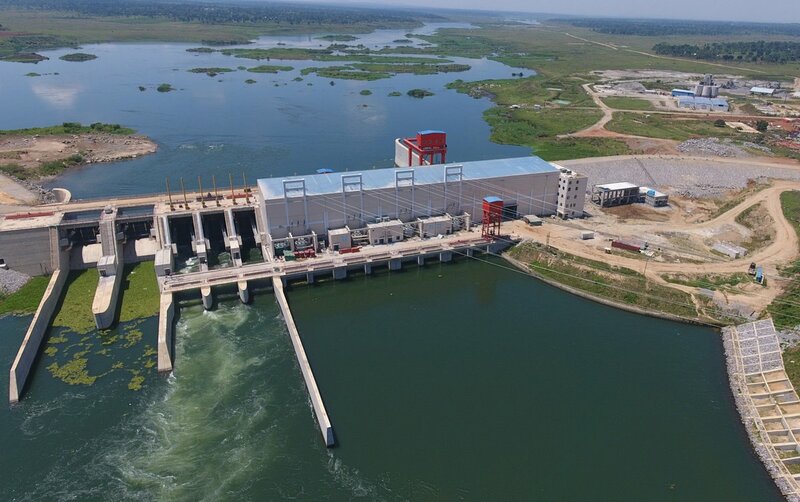 The Chairperson of the Project Steering Committee of the project, Eng Badru Kiggundu said that the project which started in 2013 is coming to a close with the dam built and the generating equipment has been installed. “After the commissioning, the operational handover will take place to the Uganda Electricity Generational Company Limited and there will be a defect liability period of two years within which if anything develops, it will be the responsibility of the contractor to rectify,” “Eng Kiggundu said. This was revealed as the Speaker of Parliament; Rebecca Kadaga toured the dam at the River Nile in Kayunga on Monday, 11 March 2019. The Speaker made the visit to appraise her with the progress made so far with the project. Kiggundu added that during the defect liability period of two years, the contractor, China Water, and Electrical Company Limited will construct a bridge across the river linking Kayunga to Kamuli Districts. “The bridge will be in two spans; one from Kayunga to Kuva Island and the other from Kuva Island to Kamuli side. These are realistic developments and as a country, this is one of the flagship projects followed by the bigger brother Karuma,” he added. Kiggundu said that the project has been realised due to the good bilateral relations between Ugandan and Chinese presidents and said Ugandans should be proud of the project. “Let us take advantage of the power that will be poured on the grid not just to light our homes but to establish factories; they don’t have to be very big so that we can realise some revenue out of this added power,” he said. Ms. Kadaga however, was concerned that part of the contract was breached during the construction where there was an inequitable distribution on jobs to the locals. “We agreed that there should be a level of equity between Kayunga and Kamuli but I have never seen any staff bus go on the other side. I see them on this side. There was lack of equity in employment,” she said. The Speaker also sought an assurance that the bridge connecting the two districts will actually be built. “Last time they wanted to commission but I told them, ‘no, you will not commission until the bridge is there’. That was one and a half years ago. I want an assurance that the bridge and the road are going to be done,” she said. The Isimba Hydro Power project cost $567 million with 85 percent funding from the Chinese government and 15 percent from the Government of Uganda. The 47 months project period ends on 31 March 2019 and it will be interconnected to the Bujagali power dam 42 km away in Jinja.